Established by ChessMaine.net and funded by a generous anonymous donor, the George Cunningham Brilliancy Prize was created to remember and honor one of the most influential figures in Maine chess history and to recognize games played in the state that evoke a certain harmony and aesthetic. The winner of the Prize for the three-month period February - April 2017 is Jarod Bryan for his game vs Sergey Mejia in the final round of the Maine Closed Championship played on April 9th in Waterville. For recognition of Jarod's play in this exciting game, he will receive $100. Congratulations Jarod! Established by ChessMaine.net and funded by a generous anonymous donor, the George Cunningham Brilliancy Prize was created to remember and honor one of the most influential figures in Maine chess history and to recognize games played in the state that evoke a certain harmony and aesthetic. The winner of the Prize for the three-month period November 2016 - January 2017 is Robert Bridgham for his game vs Roger Morin at the IM Danny Kopec UMaine Memorial Tournament played on November 19th in Orono. For recognition of Robert's play in this exciting game, he will receive $100. Congratulations Robert! Established by ChessMaine.net and funded by a generous anonymous donor, the George Cunningham Brilliancy Prize was created to remember and honor one of the most influential figures in Maine chess history and to recognize games played in the state that evoke a certain harmony and aesthetic. The winner of the Prize for the three-month period August - October, 2016 is Roger Morin for his game vs Will Ravn at the National Chess Day Tournament played on October 8th in Brewer. For his efforts Roger will receive a $100 check. Congratulations Roger! The George Cunningham Brilliancy Prize was established to recognize and reward games that are both aesthetically pleasing and technically interesting. Soon after the Prize's inception, a generous donor contributed a significant amount of capital to reward the player of the brilliant game with a $100 check. 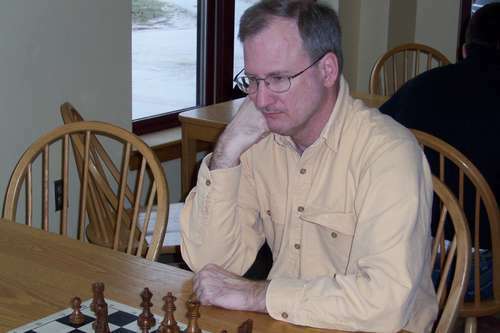 After poring over games submitted to ChessMaine.net, our crack GCBP Committee has selected Will Ravn's game vs International Master David Vigorito, played at the Saco Open on July 9, 2016, as the winner for this quarter. The George Cunningham Brilliancy Prize was established to recognize and reward games that are both aesthetically pleasing and technically interesting. Soon after the Prize's inception, a generous donor contributed a significant amount of capital to reward the player of the brilliant game with a $100 check. After poring over games submitted to ChessMaine.net, our crack GCBP Committee has selected Sergio Mejia's game vs Brian Hurst, played at the Maine State Championship on April 10, 2016, as the winner for this quarter. Throughout the history of chess, players have received awards for particularly beautiful games usually featuring sacrificial attacks and unexpected moves. These awards, known as brilliancy prizes, recognize a player's contribution to both artistic and technical aspects of the game. Because the winner of a chess game is, as Savielly Tartakower quipped, "the one who makes the next-to-last mistake," brilliancy prizes do not require strictly sound play or the best moves by either side. Congratulations to Phil Lowell for becoming the first player in a hopefully long list to receive the ChessMaine Brilliancy Prize for one of his games in the 2016 Bangor Open.